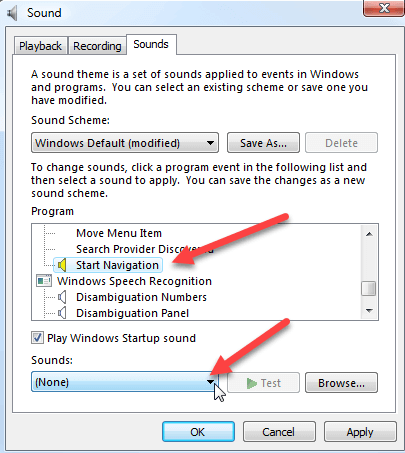 The clicking sound that Windows plays when you click on a link in Internet Explorer or open a folder in Windows Explorer can get annoying. 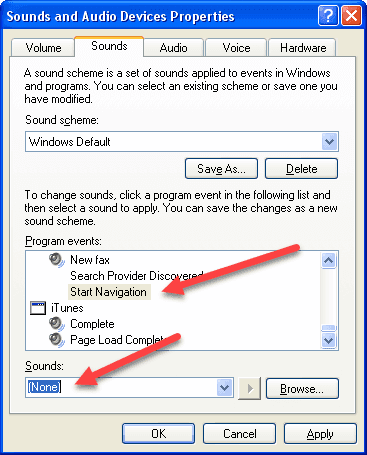 You should no longer hear the clicking noise when you select links in Internet Explorer or open directories in Windows Explorer. Enjoy! Creating and Updating Outlook Profiles using PRF Files.